The exposed and windy anchorage in Kupang, the gateway to Western Timor… It’s not the prettiest on our round the world trip, but it was an unavoidable administrative stopover. 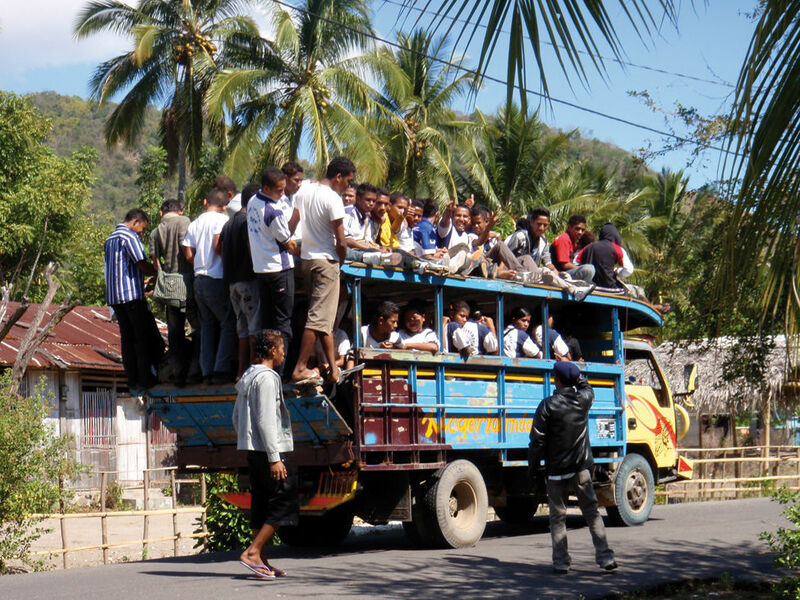 A super bemo : every inch of space is used up on this bus/truck which is essential in the Indonesian countryside. We shared our anchorage with various other Indonesian commercial craft. This buffalo doesn’t seem to be in a good mood. We’ll keep our distance! The unique colors of mysterious Asia! After this administrative stopover, we’re heading north towards the Sunda Islands to discover another face of Asia!